Most kids have brilliantly white teeth. Where some may have slightly yellow or even orange, others may have other unexplainable stains. When they become discolored, there are a number of reasons as to why it can be so. The coloring can be a clue as to the cause of the coloration, in any case, most issues can be corrected. Bearing this in mind, we at Smile Reef would like to share a few of the most common reasons as to why your child’s teeth may be discolored or stained. Likely due to a buildup of plaque, the discoloration of your child’s teeth might be shades of yellow, or even orange. This is an indication the child is not brushing their teeth, or not brushing their teeth well enough. These yellow and orange stains do not generally mean there is tooth decay, however, if the plaque is not eventually cleaned, it can lead to gum disease and tooth decay. Children’s toothpaste is not always adequate, if you are noticing that your child’s teeth are bring brushed well, and the yellow or orange stains develop, use a smear of adult toothpaste to scrub their teeth well. It might be good t have them use adult toothpaste every three days or so to prevent the stains. Another alternative is to mix baking soda with water until you have a paste and have them scrub the yellow and orange stains away. If the stains persist, you may need to make an appointment with your child’s dentist to schedule a professional cleaning. Dark stains on your child’s teeth can be caused from iron, like the iron in Vitamin A for instance. A small percentage of kids can get their teeth stained from iron. Should you notice the dark stains, you may need to have your child brush their teeth more regularly. Once the dark stains develop, it can be challenging to eliminate them, even with a professional cleaning working on it. Though the dark stains do not look great aesthetically, the ones caused by iron do not harm the overall health of your kids’ teeth. Ask you child’s dentists about more options. Discolored teeth in your child can be the result of an injury as well, such by a fall or an accident, like taking a ball or puck to the mouth. The stain derived of trauma is actually developed inside the tooth and cannot be removed with a professional cleaning. 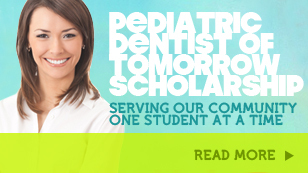 There may be alternatives, be sure to discuss your options with your child’s dentist. A child’s teeth can also become discolored due to some medical conditions or medications. The teeth can become permanently discolored in the event your child has a history of high fevers or chronic illnesses, takes specific medications, or over exposure to long term use of fluoride at a young age. If you are concerned about any discoloration of your child’s teeth, contact Smile Reef today for your appointment. We can assess the situation and offer optimal solutions.